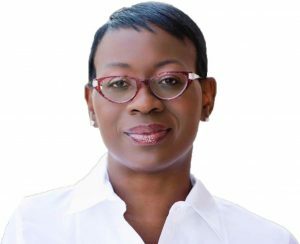 Join Rights & Democracy and Rights & Democracy of Bennington for a gubernatorial panel and a special guest speaker — Our Revolution’s president Nina Turner! 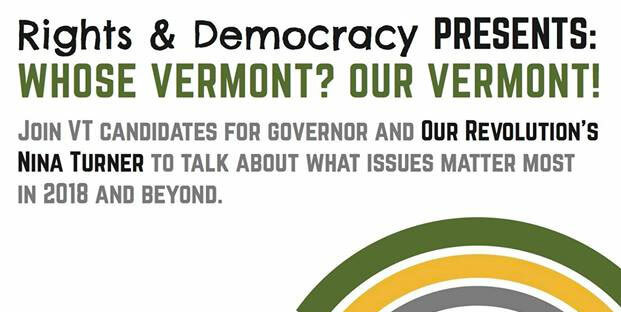 Democratic candidates Brenda Siegel, Christine Hallquist, James Ehlers, and Ethan Sonneborn will be available to answer your questions about what they’ll do for you and Vermont as governor. We’ve also reached out to candidates Keith Stern, and Gov. Phil Scott to attend. Gov. Scott has declined our invitation. Hear more about our statewide Community Survey that we’re using to hear what issues matter most to folks around the state. Take the survey, bring your questions, and join us to help educate the candidates on the issues that matter most to us. Because … Whose Vermont? Our Vermont!